I have now taken the time to complete this map, Aggressive Heights. - Retextured almost the entire map (Egypt textures by Sock). - Moved some items around and changed all items to Xonotic specific items. - Added bot waypoints (not great, as they struggle to get out of the water area - even with Bot Clip stairs to help). - The textures on the curved patches at the top of the jump pads are not correct, but I don't know why or how to correct them. - It is possible to "wall walk" on some walls, again I have no idea why or how to correct it. Download: mvxdm03v08 - Final Release. This is not a final release, but it is the last release for a while - so I'm posting it here now. 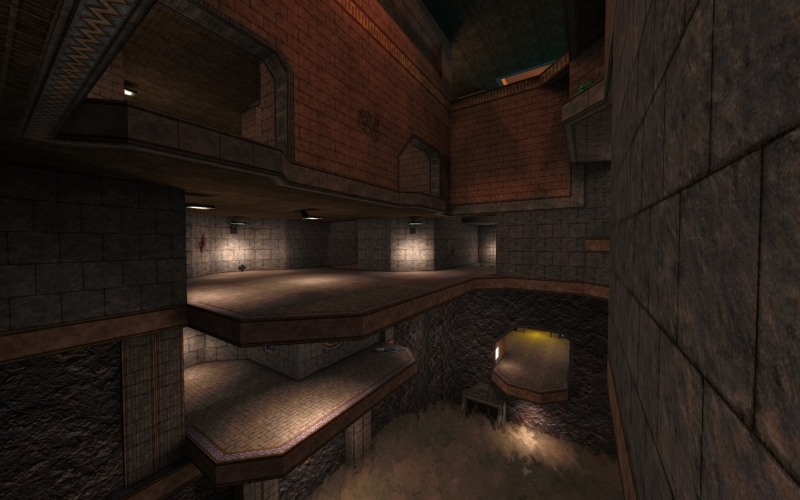 The map supports several gameplay modes, but it is intended for Duel or small DM games. The map is very vertical and knowing how to trick jump will help in moving around alot faster. Thanks for the hard work you've put into these maps Munyul. I hope to see many more to come in the future from you! 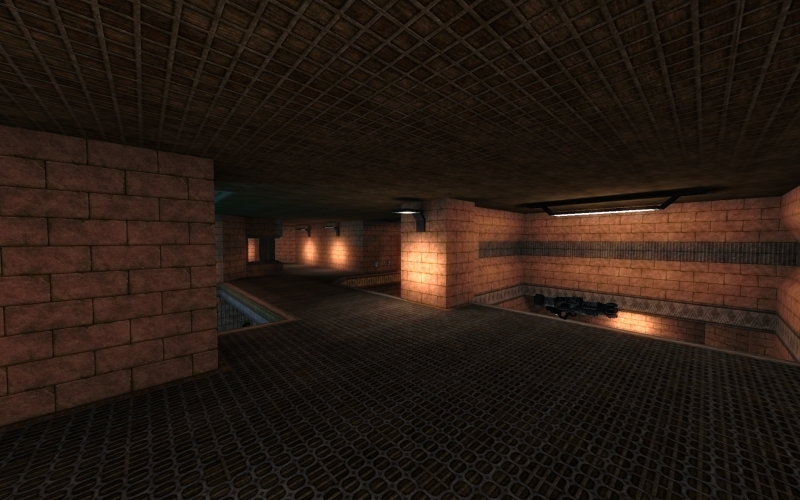 Wow, this map is looking a lot more polished, great work! Good job, man keep it up! I like vertical maps! Good job and a big thank you! 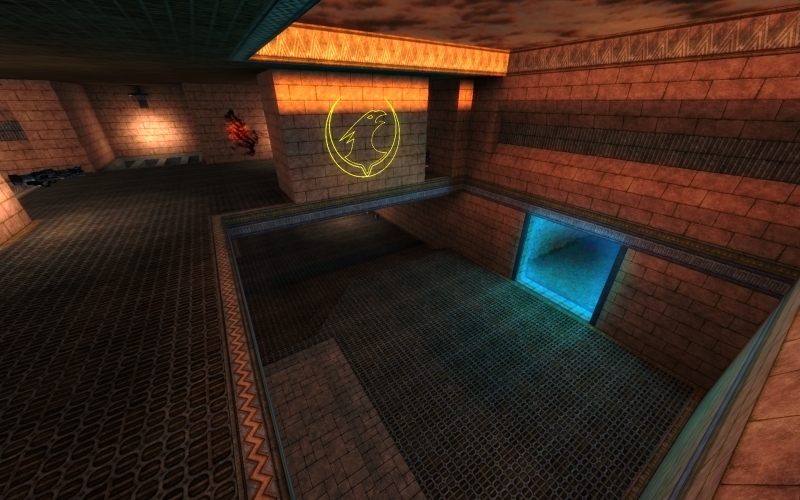 Nice to see a level from you for Xonotic. Played it first time this weekend together with a fragbuddy. Looks very nice and plays very nice as well. Great work! Thanx! Map playable on Prophets Server (DM/Duel). Good job on the review Antibody. FWIW: In the bottom sewer section, can't you just jump onto the angled side of that drain pipe and then from the drain pipe onto the platform? (02-15-2016, 09:40 PM)cefiar Wrote: FWIW: In the bottom sewer section, can't you just jump onto the angled side of that drain pipe and then from the drain pipe onto the platform? (02-16-2016, 06:31 AM)Smilecythe Wrote: You can! FYI I played 11b with 250 ping. Severely broken on the pad across from the MH. The rest of the map plays fine but when standing on this pad there is some serious chunkiness. Don't think it was FPS drops (was concentrating more on the game) but felt like PL. Happened consistently every time so I ended up avoiding this area and sticking to the tunnels or MA area. Really cool map! Great work! (03-11-2016, 08:15 PM)rad dj flimflam Wrote: FYI I played 11b with 250 ping. Severely broken on the pad across from the MH. 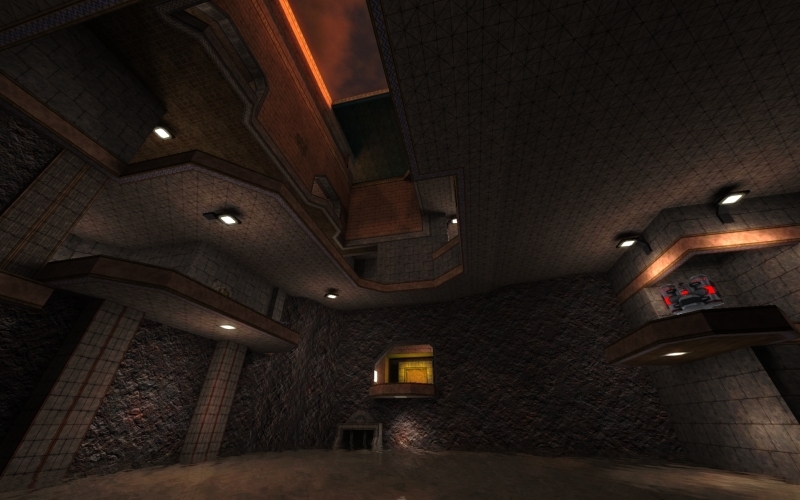 The rest of the map plays fine but when standing on this pad there is some serious chunkiness. Don't think it was FPS drops (was concentrating more on the game) but felt like PL. Happened consistently every time so I ended up avoiding this area and sticking to the tunnels or MA area. Have you been able to test this chunkiness issue on rc2, and which pad do you mean? Across from the MH, the one with the Vortex on it? Or one of the small ledges on either side? The final version of the map is finally ready see the first post for the download link and full details.